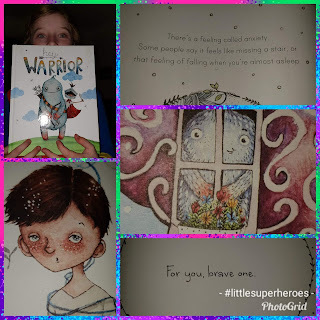 Raising My Little Superheroes : Hey You ..... You are a Warrior and You are Awesome! Hey You ..... You are a Warrior and You are Awesome! Anxiety is one of those hidden issues that is not only hard to see but hard to understand and hard to explain to others. It is also a disorder that not only adults can suffer from. More and more children are being diagnosed with anxiety disorders and while there are many books that provide strategies to manage anxiety, there really aren't that many that are aimed specifically at children. Recently O's Occupational Therapist read two books with O that explained Anxiety in an easy to understand manner. And the titles of the books are, well awesome! The first time that O was introduced to the first book, Hey Warrior, her eyes lit up with excitement as she was explaining the book to me. A few sessions later O was introduced to the second book, Hey Awesome. Naturally I then had to purchase both books! Not only for O but also for myself - both titles sounded intriguing. I came into both sessions half way through and became hooked on the books! When armed with the right type of information, children can and will do amazing things - O and L continually prove this to us time and time again. These two books do just that - they both give children the information that they need to understand what anxiety is and what they can do to manage their own anxious feelings. O has struggled for a long time to recognise the internal feelings that are associated with her anxiety. The first book, Hey Warrior, assists the reader in understanding why anxiety feels the way it does and where the physical symptoms of anxiety come from within the body. 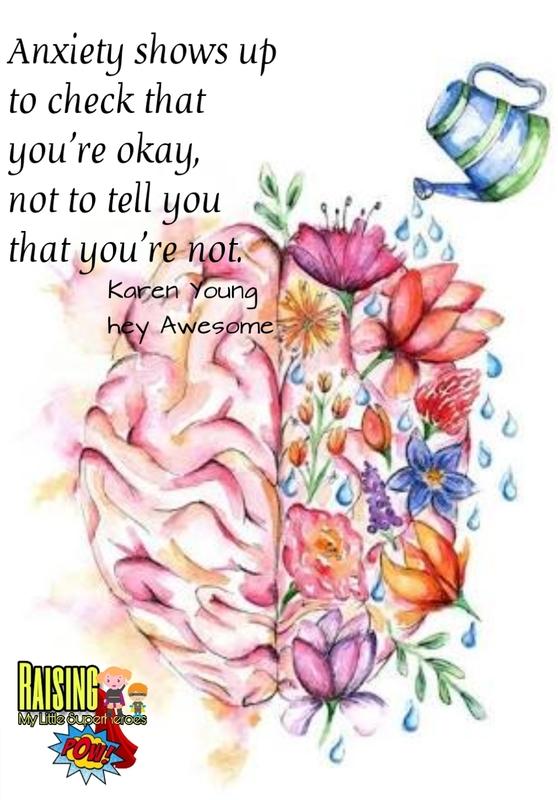 The second book, Hey Awesome, provides strategies to assist children in managing their anxiety. We're overdue for a book review from O, so without any further ado, it's time for O to take the reins. Q. Why do you like these books? I don't like them, I LOVE them! I love both of the books because of their titles. Just reading them, Hey Warrior and Hey Awesome, makes me feel good inside. It's like the titles are reminding me that I am a warrior and I am awesome! And when you open up the cover of Hey Warrior it says "For you, brave one." Just that reminds me that I am brave. I like that Hey Warrior explains what anxiety is, where anxiety comes from and what part of the brain - the amygdala - is responsible for anxiety. The book also helps me to understand what happens to my body when I get anxious. After I read this book with Hannah, I felt more powerful knowing that I can be stronger than my anxiety. I really like the illustration of what the author thinks the amygdala looks like - anxiety sounds scary but the illustration shows that anxiety really isn't scary. The back of the book is great too because it reminds me of all that things that are cool about me. I like Hey Awesome because it gives me lots of strategies that I can try when I become anxious. I like that the book reminds me of what my strengths are. Reading this book makes me feel good inside about myself. It reminds me that I am strong and even though I get anxious a lot, I am bigger than my anxiety. The illustrations in both books are beautiful. And the way that the author has written both books, makes them both very easy to understand. It's like the books speak to me when I read them. I hope that the author keeps writing books like these. Q. Favourite quote from Hey Warrior? I have a few but my two absolute favourites are "You and your warrior will be buddies - but with you in control" and "Always remember, anxiety is a sign that you're about to do something really brave." Q. Favourite quote from Hey Awesome? 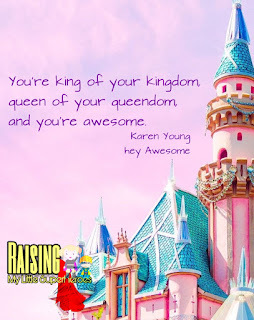 I love "You make the world better for everyone around you," "You're king of your kingdom, queen of your queendom and you're awesome" and "Anxiety shows up to check that you're okay, not to tell you that you're not." Q. Would you recommend the books to other children. Oh definitely! I think if these books were in the library at school the librarian would have to make a wait list for them. If other kids have anxiety, they need to read both of these books. I'm so happy that Hannah read to them to me. Q. Do you think this book would be good for adults? I think it would be good because anxiety is really hard to describe. So maybe if parents read Hey Warrior, it might help them to explain anxiety to their children. Q. Rating out of 10 stars? Ten out of ten for sure! These books are amazing! The author of both of these books is Karen Young and you can buy copies of both of these books through this link!